If you’re having any sort of problems with your braces then this article is for you. Not only will we be looking at how to stop braces pain, we’ll also be covering other common braces problems and recommending products to help you solve them. We’ve also written a bonus section at the end on how to improve your confidence when wearing braces. If there’s anything we’ve missed or if you’ve got any questions, ask away in the comments. Best mouthwash, floss, toothpaste & orthodontic kits for braces. People who are new to braces are often surprised by how painful the procedure can be afterwards. 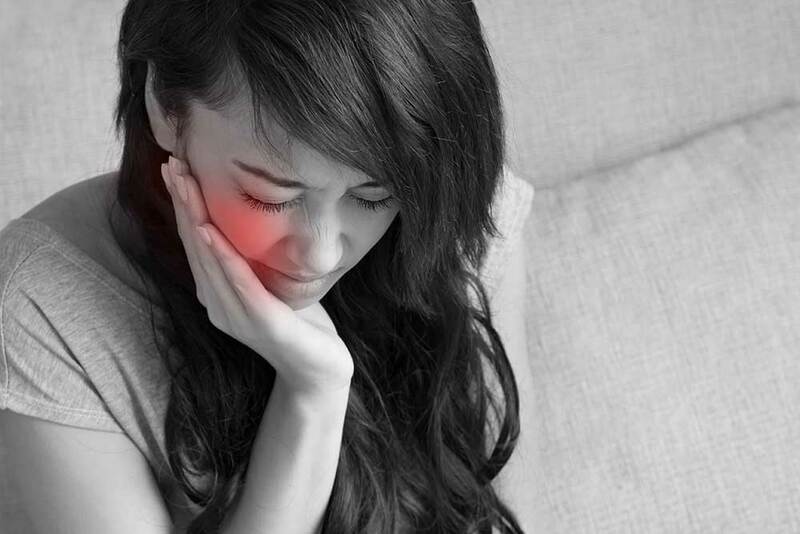 Pain can occur for two reasons: the braces have been tightened, creating pressure on the teeth, or the wires are cutting into the soft tissue of the inside of the cheek. Luckily there are a number of products available to help ease the pain. Water irrigators might be a welcome adjunct/alternative to flossing when you have pain from braces, as the compressed air and pressurised water droplets effectively remove plaque without applying pressure to painful gums. 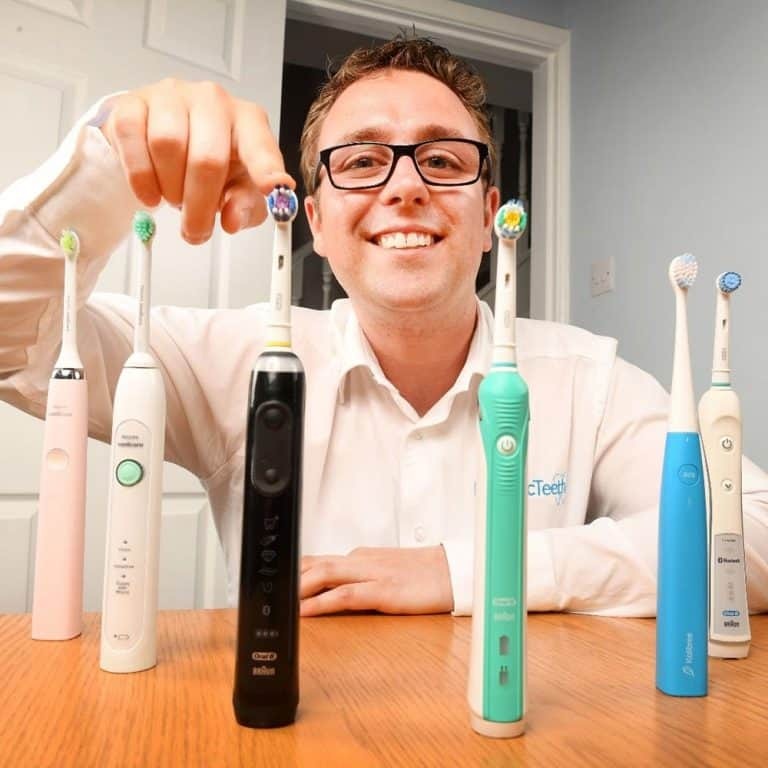 We have put together our list of best electric toothbrushes for brace wearers. Sadly no brush will directly relieve the pain you might be in. Many toothbrush brands offer a soft bristled head, often referred to as a “sensitive” head. The softer bristles are still effective at cleaning , removing lots of plaque and food debris, but using a softer touch to your tender teeth and gums. If you already own an Oral-B brush, consider replacing the head with Oral-B Ortho Care Essentials (designed for use on orthodontics) or Oral-B Sensitive Electric Heads. Even if you can’t stand the thought of applying pressure to painful areas, you must make sure you are taking care of any plaque that is building up. An electric brush is a wise investment as they prevent gum disease whilst polishing teeth. We’ve recommended some products containing anaesthetics and protective shields below which can help dull the pain whilst brushing. The tight fitting of the braces will often be felt as sensitivity in the teeth. You should be using a good quality fluoride based toothpaste as a matter of course, but if not, do switch to one. Aim for at least 1400ppm of fluoride – the container will tell you how much there is. If you have a lot of sensitivity, or at risk of tooth decay, ask your dentist about the possibility of a higher fluoride containing prescription toothpaste. Fluoride helps strengthen the enamel, and can also help protect the outside surface of the teeth from future decay. We are fans of Oral-B’s Pro Expert paste. Different sensitive toothpastes have different active ingredients, which means that they work slightly differently. If you have always had sensitive teeth and really want to tackle the issue, many swear by Sensodyne Complete Protection. If this doesn’t work for you it is worth trying a different brand. At first the inside of the cheek and lips may be tender, but through time the tissue will become tougher. This tenderness is caused by the braces rubbing the very soft pink flesh inside your mouth. It is similar to if you get blisters wearing new shoes. While you wait for your mouth to adapt, try using a mouthwash with an anaesthetic component, such as Listerine Antiseptic mouthwash. The antibacterial agents function to reduce inflammation and therefore dissolve the pain. Colgate Peroxyl Mouth Sore Rinse is designed to soothe mouth irritations caused by orthodontic appliances, whilst simultaneously promoting healing, this could be worth trying. A perhaps cheaper and quicker solution too is to try lukewarm water in the mouth, you might be surprised at how a little warmth can relieve the pain. Using warm water can relieve aching cause by tight braces. If you have sore spots caused by rubbing, placing an ice cube in that area may help relieve the tenderness by numbing it. Taking standard over the counter pain relief like paracetamol can help relieve the aching caused by tight braces. Ibuprofen works slightly differently, and actually helps with inflammation which you may be suffering from as the teeth are moving. Both paracetamol and ibuprofen are safe as long as you stick to the maximum daily recommended dose. They can also be taken together, although best advice is to alternative between the two different tablets, e.g. take paracetamol, two hours later take ibuprofen, two hours later paracetamol again, and so on. Just make sure there is at least 4 hours between taking the same type of medicine. You can apply pain relieving gels to sore spots caused by rubbing. For example, consider as can applying products like Orajel. Designed to be soothing and reduce irritation it might just give that extra bit of relief. The American Dental Association (ADA) has approved two pain control medications for easing the pain caused by rubbing: Kank-A Mouth Liquid and Benzodent Dental Pain Relieving Cream. Finally, if you have areas where the braces are rubbing and causing sore spots you can prevent further rubbing, and help the sore spots heal, by covering the braces with some sort of wax or other strip. For best healing, apply these products before going to bed and leave overnight. Always ensure you have given your braces and teeth a good clean before putting these layers on. ComfortBrace Protective Strips are a great option. 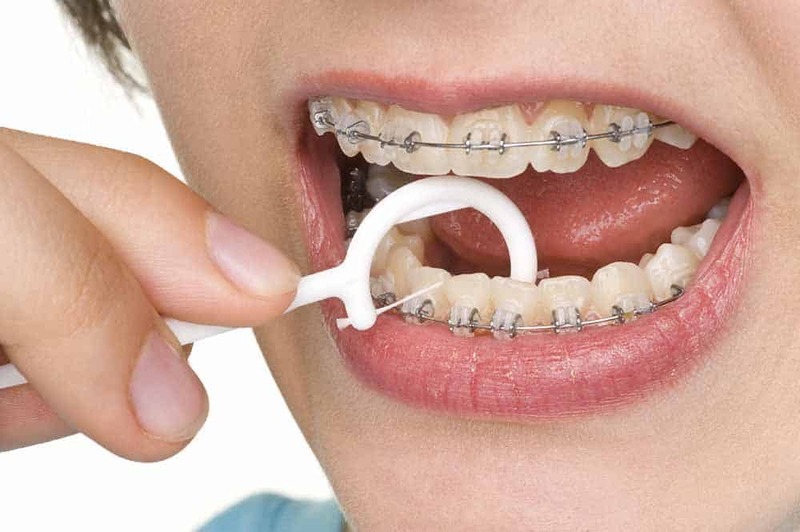 A transparent adhesive strip covers the braces, therefore protecting your mouth tissue. Best of all, you can eat and sleep with them in place. This product is a little bit tricky to find, but it is generally available from Orthoshop. This wonderful site stocks a number of orthodontic products, the Morgan lip bumper might be worth consideration too. Boots Expert orthodontic range has brought out well-received Boots Orthodontic Wax, labelled a ‘lifesaver’ by one grateful customer. Customers have noted that the wax has a real staying power, and, compared to the silicone taste of the wax you get from the dentist, the mint flavour of this wax also helps to keep your breath fresh. Best of all, this wax is clear, whereas the wax you get from the dentist is often brightly coloured — not what you need if you are already self-conscious about your braces. White marks or spots around braces are caused by decalcification, which is cause by plaque. Plaque is a sticky substance on the teeth that contains bacteria. Plaque builds up over the course of the day. Whilst some bacteria in plaque are harmless, but some are harmful to your gum health, and this is why not removing plaque causes gingivitis (gum disease) and dental decay. The bacteria in plaque produce acids that can also soften the outermost surface of your tooth, eventually leading to holes in your teeth – dental decay. The first stage of this softening is called decalcification. This is because the acid removes the calcium which makes the teeth so hard. Decalcification can happen to anyone, but brace-wearers are especially susceptible as it is harder to remove the plaque that congregates around the wiring. As well as brushing and flossing, consider investing in a water irrigator. The best cure is in fact prevention! However, things can be reversed in this case, but it is always worth getting a professional opinion from a dentist in these matters. If decalcification is removal of calcium, in order to reverse the process we need recalcification, or remineralisation. We need to put the hard mineral back into the tooth surface. Your own saliva can actually do this, however it does take an hour or so after an “acid attack” (be that from actual acid in fizzy drinks, or acids produced by bacteria after they have eaten sugar). The main focus and way of stopping or reversing the decalcification process is to look at your diet and how often you are consuming sugars. In principle maintaining a healthy balanced diet with a focus on reducing sugars, particularly frizzy drinks and alcohol will help. A good diet can even encourage natural remineralisation, such as by including xylitol sweetener. Eating or drinking certain products can leave your mouth more acidic and in principle a nastier environment for your teeth. Any food or drink containing sugar should be at meal times only, and only sugar free drinks between meals. Good oral hygiene is of the utmost importance during orthodontic treatment. Ensure that you are brushing and ideally flossing 2‒3 times daily or after every meal (allow 45-60 minutes to pass before brushing). This will remove the bacteria that cause the decalcification process. Using a mouthwash can rid the mouth of the acidic particles post eating and drinking. A mouthwash is not a cure, but products like Ultradex help restore the natural PH balance in the mouth and are a possible option if brushing is not. This will help the teeth recalcify/remineralise quicker. There are some products that can help with the remineralisation process. Fluoride is the most common product and is found in mouthwashes and toothpastes. Other specialist products include Recaldent and explained by the Oral Health Group here. Be aware the process will take months and not days or weeks. Gingivitis is an inflammation to the gums caused by bacterial plaque. It signals the beginning of gum disease. Symptoms include swelling, tenderness and bleeding around the gums. You might also notice that the gums have turned a red or purple colour. For gingivitis to develop plaque must build up on teeth, but this can easily be avoided, and even reversed, with a good dental regime. Plaque is an ongoing fight when undergoing orthodontic treatment, so make sure you use all the tools at your disposal: electric toothbrushes, flossers, mouthwash and fluoride toothpastes. If left untreated, gingivitis can lead to periodontitis and cavities. The best cure is cleaning your teeth properly. The National Institute of Dental and Craniofacial Research advises that, ‘Whether your gum disease is stopped, slowed, or gets worse depends a great deal on how well you care for your teeth and gums every day, from this day forward.’ Ensure that you are brushing and flossing for the requisite 4 minutes per day, in addition to using a quality toothpaste and mouthwash’. Subject to how severe the gum disease is will depend on the treatment. Many can reverse the disease within a couple of weeks by simply brushing twice a day for 2 minutes, flossing at least once a day with the occasional rinse of regular mouthwash. Oral irrigators are very useful in preventing gingivitis, but can be costly. A cheaper option is ADA-approved Oral-B SuperFloss, designed for braces. The ADA has stated that, ‘the product is effective for removing plaque between teeth and helping to prevent and reduce gingivitis.’ For optimal effectiveness in flossing, consider applying an antigingivitis gel to the tip of an interdental brush. TePe Gingival Gel contains chlorhexidine and fluoride, which are both excellent agents in fighting gum disease and dental decay. If you notice your gums are particularly red, tender and bleeding quite a bit, Corsodyl is a very effective mouthwash that tackles the problem and has proven results. Use for no longer than a week and as part of a good brushing routine and you will likely see significant improvement. In more advanced cases or if your pain and bleeding continues, it is advisable to see a dentist so that they can assess you personally and give the best and most accurate advice given your personal condition. Periodontitis ‘is an inflammation of the tooth’ and is an advanced form of gum disease. The bacteria which caused the swelling in the gums in gingivitis produce acids which actually destroy the bone that holds the tooth in place. This gap between the bone and the tooth is called a periodontal “pocket”. Periodontitis usually begins with gingivitis and can ultimately lead to the loss of a tooth. Symptoms include bad breath, swollen gums, receding gums and sensitive teeth. Your dentist will measure any pockets with a probe before advising on treatment. It has been proven by a recent study that braces can encourage the growth of periodontal bacteria. Taking extra steps to avoid the accumulation of plaque is essential during orthodontic treatment. Ensure your dental care is comprehensive by using products that reduce the buildup of plaque. Halitosis is more commonly known as ‘bad breath,’ and is noticeable in a sufferer’s exhaled breath. Bacterial growth around the tongue, teeth and gums cause bad breath. Most people experience this condition to some extent after eating or drinking certain foods and drinks. Halitosis can also be a sign of gum-disease, caused by a buildup of plaque. People undergoing orthodontic treatment must be extra vigilant of their oral health so as to avoid this condition. The wires of the brace contain many places food particles can become trapped. The bacteria which causes halitosis feeds on these particles, leading to bad breath. Bad breath is a problem that plagues us all at times, but can be particularly difficult to manage when you have braces. That being said, the right products and a regimented routine can help you keep it to a minimum. As per gingivitis, brush correctly and regularly, and floss too. Brush the inside of your cheeks and your tongue. For many, the tongue is the biggest culprit in bad breath. It’s pitted surface is a fantastic home for bacteria to reside and grow and form the bad smell so many of us hate. Brushing the tongue for just a few seconds will scrape away and lift the offending bacteria. Using a mouthwash with an antiseptic component, such as Listerine Antiseptic Mouthwash, will optimise your oral care. 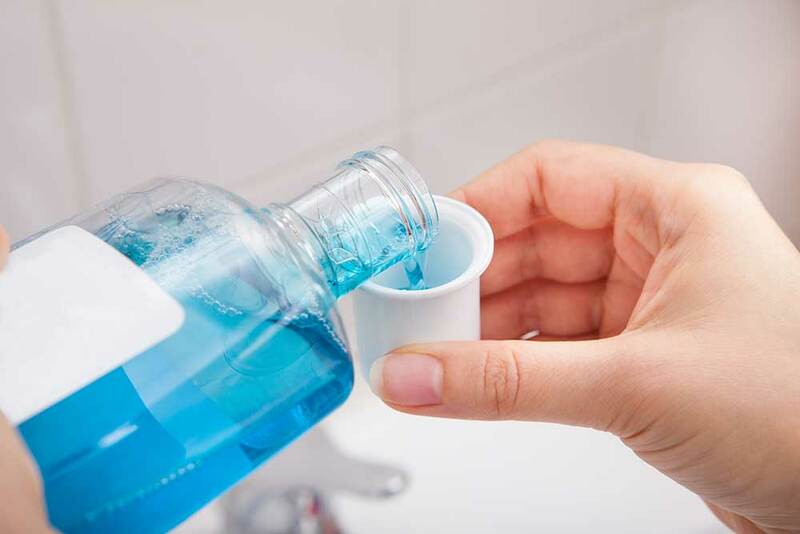 New studies have shown that mouthwashes containing chlorhexidine and cetylpyridinium really do eradicate halitosis, while chemicals like chlorine dioxide and zinc neutralize odors. Boots stock a pricey but effective option: CB12 Mint Menthol Mouthwash. CB12 treats bad breath by neutralising malodorous sulphur gases and lasts for up to 12 hours. Oral-B has formulated a Pro-Expert, multi-protection mouthwash for the specific function of reducing bad breath, available here from Boots. Flossing is especially important to combat this condition. Try Oral-B Superfloss, which has been specifically designed for use around braces. In some cases, bad breath can also be linked to dehydration, so make sure you are getting the recommended 8 glasses of water a day too. Plaque is a thin sticky substance which is produced by saliva and food particles. Tooth decay and gum disease are caused by plaque mixing with sugars to give off an acid. Plaque begins to form only 4 hours after brushing. Getting rid of plaque can be especially challenging for people undergoing orthodontic treatment as it is harder to reach around the wires to properly clean the tooth. Luckily, a number of toothbrushes and aids have been developed to fight the plaque around braces, therefore helping you to avoid gingivitis, periodontitis and cavities. An electric toothbrush is preferential for brace-wearers, and luckily all the best brands are totally focused on removing plaque. There are a number of specialist orthodontic brushes on the market but the number of movements an electric brush makes, sets a standard for cleaning that is hard to beat. All brushes below are safe for use on braces. Manufacturers advise that brush heads might sustain wear-and-tear more easily, occasioning the heads need replacing a little more frequently. Why not take a look at our list of best electric toothbrush for braces. Toothpastes, mouthwash and flossing tools can all help with this. We have an extensive guide available here that gives more detail and explains which products are best and why. 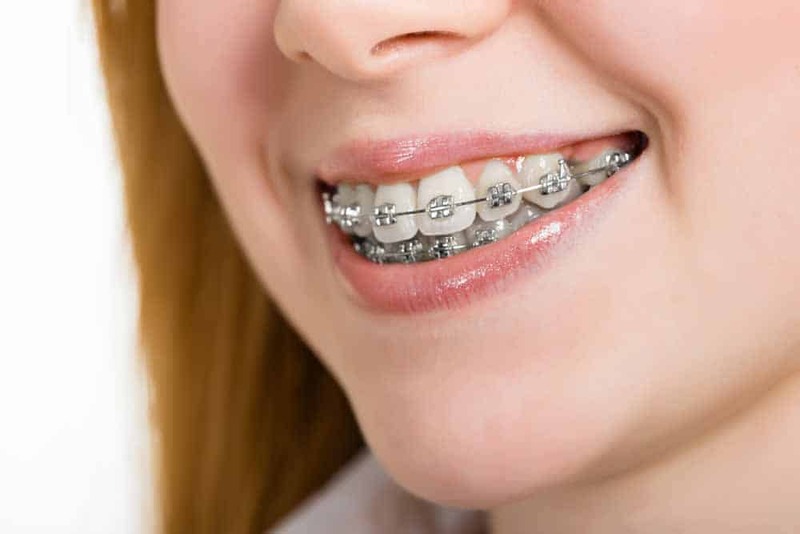 If you’ve got sensitive teeth and gums, braces can be even more problematic. You first might want to question what causes the sensitivity. Some people do naturally have more sensitive teeth and gums, which can be managed with special toothpastes and avoiding cold food and drink. In some cases sensitive or tender gums could be the signs of the early stages of gum disease. Quite often, poor oral hygiene can be the cause, so using products to clean the mouth better can be a big help. An electric toothbrush cleans the teeth really well and certain models like the Oral-B Pro 3000 have a ‘sensitive’ mode that moves the brush head slower than normal for a softer and less painful brushing experience. Using a very soft brush head on the brush helps too. The not so stiff bristles glide across the surface with more ease and flex to take some of the pressure away from the teeth and gums. If you have an electric brush already, Oral-B, Colgate and Sonicare all offer sensitive brush heads. Sensodyne Complete Protection toothpaste is an option for those who generally suffer. Many report a decrease in sensitivity after several weeks of use. When plaque builds up on your teeth, it can harden into tartar, which then causes stains and discolouration. Tartar, if not removed, is more sticky than a tooth and more bacteria and plaque will be attracted to it. The increased bacteria can cause gingivitis and eventually periodontitis (an advanced form of gum disease which can lead to the loss of the tooth). The formation of tartar makes it harder to fight new bacteria in the mouth. 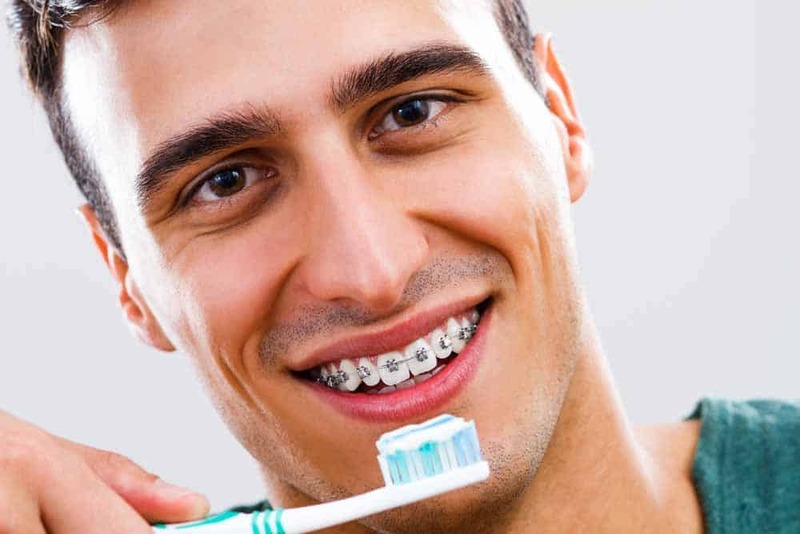 As this article has already highlighted, the wearing of braces can sadly be a catalyst to the speed at which this can form within the mouth, but good cleaning routines help such becoming an issue. You cannot remove tartar yourself at home. However, your dentist will pick up on tartar on the teeth and will likely have you see the hygienist who is best placed to remove as much as possible and get the teeth back to the cleanest they can really be. Their powerful tools, knowledge and steady hands can swiftly do away with much of the nasty build up. Prevention of tartar is key. There are products formulated to help and target the removal and prevention of tartar, but most dentists and professionals would agree simply focusing on your technique and routine when brushing and flossing is more effective than products branded to treat this issue. Make a miniature dental kit including a manual toothbrush, a sample-size toothpaste, dental wax, interdental flossers and a mirror. This alone will give you the confidence to carry on about your day without worrying if food has become caught in your braces. It’s a good idea to carry a kit like this anyway — we recommend brushing after every meal if you wear braces to prevent a buildup of plaque. Invest in a quality electric toothbrush. The patented technology of Philips or Oral-B in particular help prevent gingivitis and other forms of gum disease, which is a big problem for people undergoing orthodontics. Avoiding tooth decay and unsightly stains will allow you to smile with confidence. You might also consider optimising your care by investing in an oral irrigator, but at the very least, floss and use quality toothpastes and mouthwashes. For optimum oral health, use a orthodontic oral irrigator, as patients undergoing orthodontic treatment are susceptible to many of the illnesses outlined in this guide. You don’t have to spend much to make a big impact on your oral health, but make sure you are well-informed about what’s available. Avoid bad breath by brushing frequently. The NHS recommends that you brush after every meal. 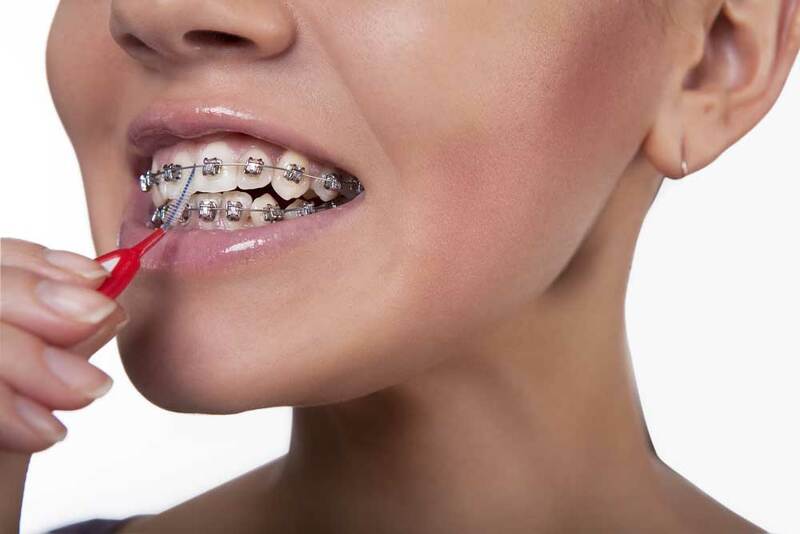 Food particles can get caught in braces, leading to problems such as halitosis. Carry a small bottle of mouthwash or some breath freshener for situations you might feel self-conscious in, such as a meeting or a date. Avoid chewing gum; it could damage the wires. Get some clear wax for social situations, such as Boots Orthodontic Wax, instead of using the coloured one prescribed by your dentist. If you’ve just had your braces tightened, chances are you will be in a little bit of pain. Carry some pain-relief creams or gels so that the pain doesn’t ruin your day. When selecting the colour of band for your train tracks, don’t choose a colour that could be mistaken for food, such as green or brown. White can make teeth look yellow and clear will often turn yellow between appointments. The most on-trend colour right now is blue or even pink. If you wear makeup, you could opt for a look that draws attention from your mouth, such as eyeshadow and eyeliner. Try to stay away from bright lipsticks, opting instead for neutral tones. Take good care of your skin and the way you dress. Highlight your best feature to divert people’s attention from your braces. Be aware of your body language. If you resist smiling in a natural way, you will automatically make people more aware of your mouth. People’s attention will be directed towards what you are putting the most emphasis on — so don’t put too much effort into concealing your smile. While you may feel self-conscious about your braces, the chances are you are not the only person in the room wearing them! The NHS has noted that last year in England and Wales 200,000 people started orthodontic treatment. Remind yourself that some of the celebrity world’s most-prized beauties have worn their orthodontic appliances with pride — and you can do the same. A good oral health care regime is all you need to be proud of your smile, braces or not. White spots on teeth: why are they there and how do you get rid of them?